Women on a Mission: Mom Edition: TUESDAY AT NOON: Lori on...THE ENDLESS PASTA BOWL! TUESDAY AT NOON: Lori on...THE ENDLESS PASTA BOWL! Steve and I hit a bigger city in North Dakota over the weekend and ended up meeting some family. The kids picked the restaurant—OLIVE GARDEN! YUMMMMYYY! Yes, Steve and I are sort of food snobs. We do like a very nice sit-down restaurant with a glass of wine and usually opt of your typical chain. 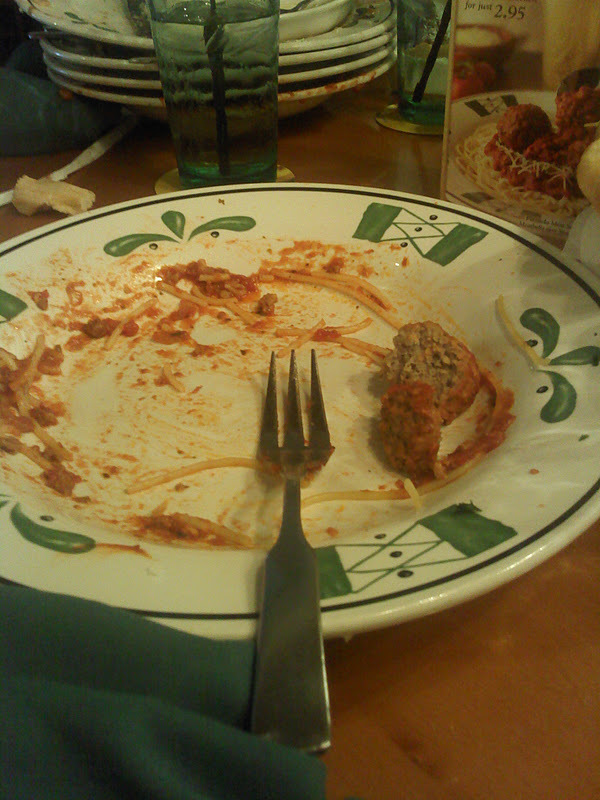 However, Olive Garden is always good. And it is even better when they are offering their endless past bowls! MY FAVORITE. And recently WOM-MOM follower and friend Shelley told me about a endless pasta sauce that was TO DIE FOR! The mushroom/sun dried tomato sauce was YUMMOOO! And so…Steve and I both ordered it. 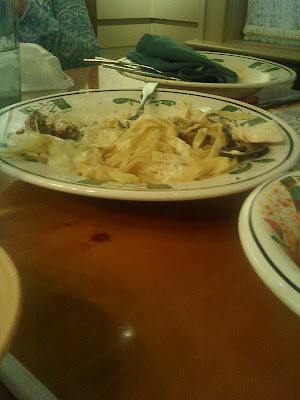 And of course…ordered bowl number two when we still had lots of bowl number one. (Steve literally took one bite...prior to ordering)! We ate a lot, but managed to have lots of pasta left over (perfect for meal number two and for the low price tag of just under $9.00). Steve didn’t think we could box up our leftovers…mainly because at an all you can eat food buffet you can’t, so why would they let us box up our endless pasta? We shook on it and I won! 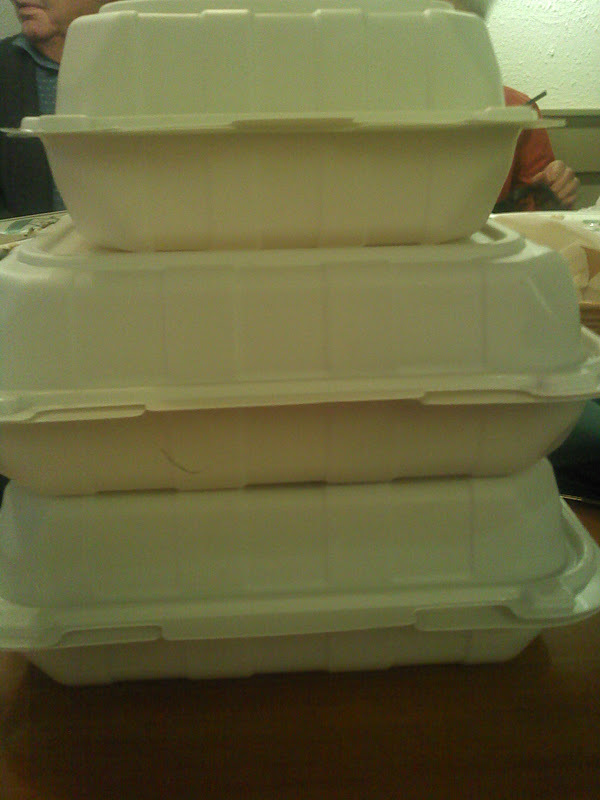 That’s right—several to go boxes later (even a box of breadsticks) and we had meal number two. Our only regret is that we didn’t order more of the endlessness!